Treating families in Peoria with preventable dental care to keep you and your smile healthy. 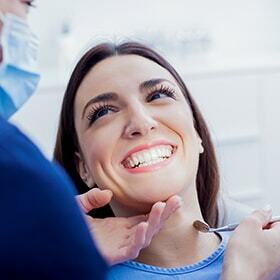 You can maintain your oral health with consistent comprehensive exams every six months. What can you expect at your dental exams with Dr. Bruce Mathes? We ask you to dedicate 45-90 minutes for your first appointment with us, so we can get to know you and discuss your smile goals. It’s crucial you visit us every six months to ensure your oral and overall health stay in tip-top shape. If Dr. Mathes notices early signs of gum disease, he may recommend a deep cleaning (scaling and root planing). An ultrasonic cleaning device is used to remove plaque and tartar from your teeth where regular cleaning devices can’t reach: Under the gum line, on the tooth, and around the root. More advanced gum disease may require periodontal surgery, which, if needed, Dr. Mathes will review with you. You may be experiencing signs of TMJ disorder. 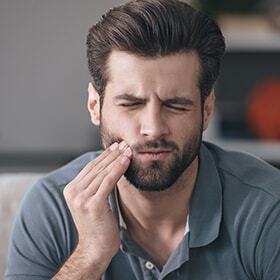 Connecting your lower jawbone to your skull, your temporomandibular joint (TMJ) is responsible for daily activities such as speaking, chewing, swallowing, and yawning. If that joint is out of place, you may experience those painful symptoms. Don’t worry! Dr. Bruce Mathes has tips and customized methods to get you out of pain. Drowsy during the day? Is your partner complaining of your loud snoring? Sleep apnea may be the culprit. 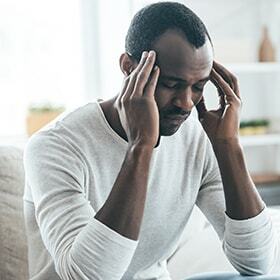 A condition in which your breathing stops periodically during sleep, sleep apnea prevents oxygen getting to your brain, putting you at risk of serious health risks. How can Dr. Mathes help? Visit our sleep apnea page to learn more. If you experience a dental emergency, be sure to call our practice at 309-685-2112 as soon as possible. We’ll do our best to get you in that same day and get you out of pain. Flouride treatments take just a few minutes to apply. They are completely painless so you can go about your day as soon as you leave our office. When you choose a mouthguard, be sure to pick one that is tear-resistant, comfortable, and molds with the contours of your mouth. 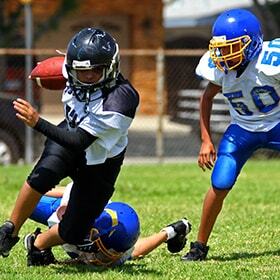 Talk to Dr. Bruce Mathes about our mouthguards and he’ll tell you the pros and cons of each style and provide his best recommendation based on your needs. There are areas in your mouth that are hard to reach, especially your back molars. If left alone, tooth decay can easily develop in the cracks and grooves; however, sealants can give you the extra protection against decay and help prevent cavities. 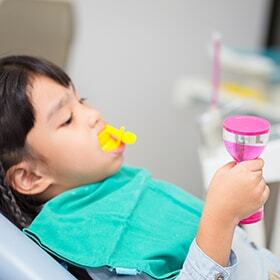 Sealants are tooth-colored resins and are conservative and affordable to prevent tooth decay and make brushing your teeth easier and more effective. Sealants are typically applied to children’s teeth as a preventive measure against tooth decay after the permanent teeth have erupted. 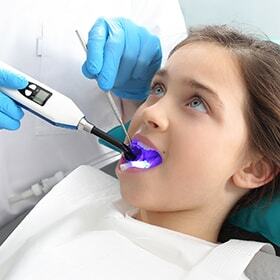 However, we do offer sealants for adults as well. My recent visit was excellent! The highly capable dentist and hygienist together with the friendly staff made the visit very worthwhile. My teeth and gums continue to be healthy thanks to their focus and good guidance. Ready to Get Your Smile Healthy? Our team looks forward welcoming you to our family.